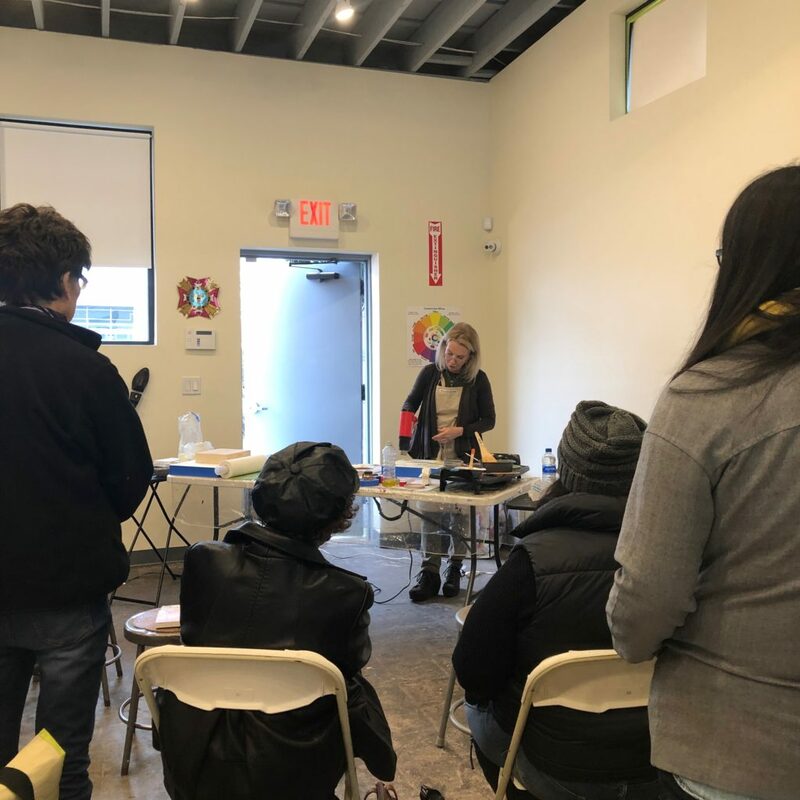 On Sunday, November 18, we had a fascinating demonstration of the encaustic painting process by our very own WAA board member, Francesca Azarra. 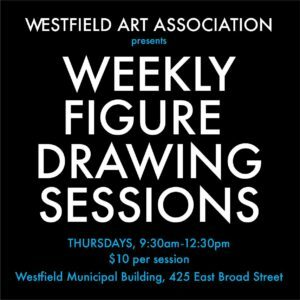 Francesca is well known both as an artist and as an educator, and both traits can across powerfully in this 2-hour demonstration of the history, tools, supplies, and techniques of the medium. 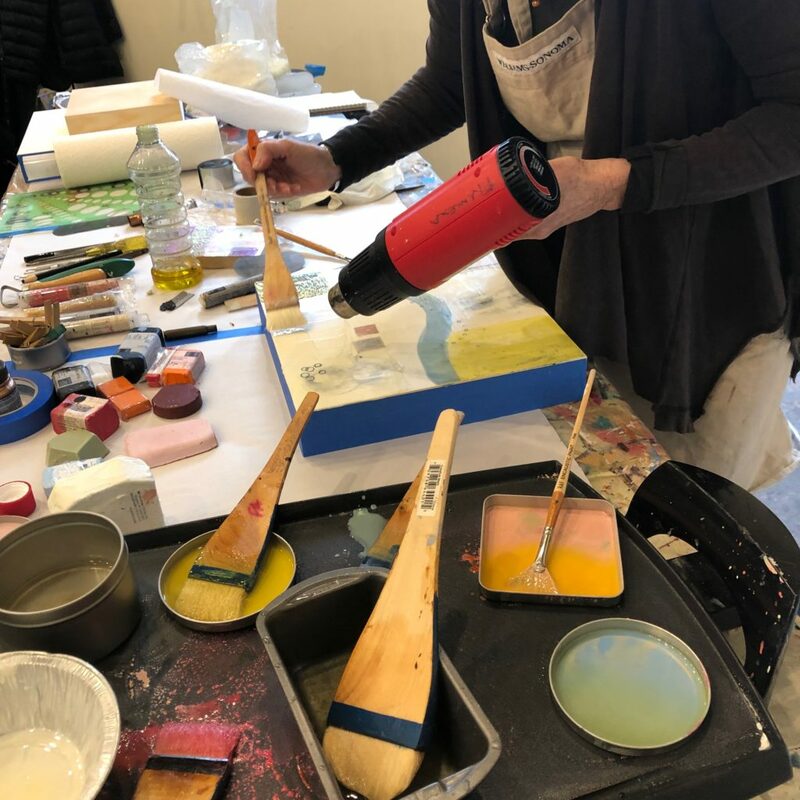 Perhaps, though, the take-away for the 26 event attendees at South Avenue Arts was the endless experimentation and flexibility that the medium permits. 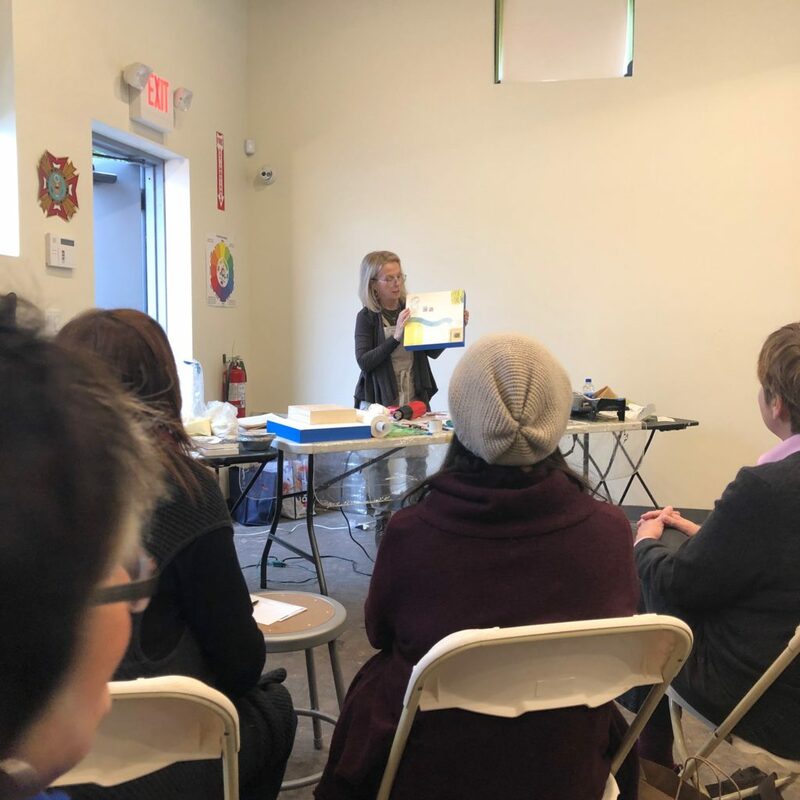 To find out more about Francesca, and to see video from this demonstration, please visit Francesca’s website, Instagram, and Youtube.